Where has all our Mutual Respect Gone? Over these last few weeks (actually, since the start of the Presidential Primaries) we’ve lost our collective minds. There can no longer be a difference of opinions you either support ‘insert topic here’ or you’re the Scum of the Earth. You’re the lowest of the low. Where is our respect for the person? Where is our compassion for each other? Where is our ability to disagree with the philosophy but still respect the person? Where is our kindness? Am I the only one who cares about these things? During this time, I’ve seen families tear themselves apart, friends stop talking to friends, and people lose their jobs. We’ve witness nothing but hate on TV and Online. The worst part is this seems like this is our new normal. Not only for us, but for our country. It’s disappointing because I thought we were better than that. It’s dangerous because we’re tearing ourselves apart from the inside and we don’t seem to care. As long ‘we’ are right. If we’re not on the brink of collapse as a country, I’d be shocked. Why are we letting the media and the politicians do this to us? We have the power. We can choose to respect each other. We can choose to disagree and not come to fist-a-cuffs. We have the control. We can protest without fighting or destroying property. We can fight for what we hold dear and still have a strong society. Last May I wrote a blog titled ‘Stop Being Negative and Don’t be a Jerk’ (missed it click here). I wrote it for Memorial Day because we needed these reminders. Then in July I wrote a blog ‘Be a Decent Person–Shut down your Technology Once in a While’ (missed it click here). I wrote this because we need the reminder. I wrote these two blogs, and now this one, in reaction to what I see happening around me. We’re on a downward spiral and instead of helping each other we’re hell bent on destroying ourselves. Why? Again, am I the only one who sees this? Who cares? I can’t be. I refuse to even consider it’s just me, alone, trying to get people to stop and really take a look at how we’re tearing each other apart. Look, I’m not naive. There are awful people all around waiting to take advantage of a volatile situation, but we can’t let them do it. We have to police ourselves. We have to treat each other the way we want to be treated. Some people say to me. 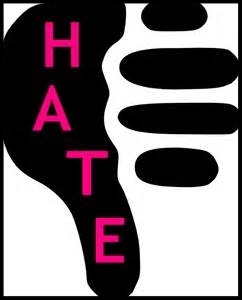 What do you know about hate? What do you know about discrimination? This is all easy for you to say because you’ve never experienced it. You’re a white male, you’re part of the privileged class. You have no idea. What they don’t understand is that there are more forms hate out there probably than people. I’ve been threatened with physical harm for talking with a lisp and for being seen leaving the wrong kind of club. I’ve been followed by thugs who, if I was caught, would have done who knows what to me. I’ve had my car vandalized just for being me. I’ve been followed after I left a club having to drive to a police station before those following me decided to find easier prey. I’ve been pulled over by the police having my car and my person searched for no other reason than being a teenager and male. I’ve been fired from a job for being gay and then told by an expensive lawyer there is nothing I could do. Has it been as bad for me as for others? No. We all have stories and for many it is worse than anything I can imagine. Now, I could have allowed these awful events to corrupt who I am. Thinking about them still hurts and still makes me angry. But I won’t let them control me. I won’t give any of these actions that kind of power over me. And neither should we when it comes to all this hate and violence. We need to step up and be the better people. We need to show these hatemongers (on all sides) that they are wrong. We should celebrate our difference, not run people down or riot. We have a right to disagree and to voice our unhappiness. But, that is a right extended to everyone, not just the people who agree with us. It is both our strength and our weakness as a nation. We’ll never be able to change their minds fighting in the streets. Heck, we may never change their minds at all. At some point all the rational-respectful people will have to sit down and say “That’s all right.” This is their problem and I refuse to allow them to affect the way I live my life and do my job. You may not ever agree with them but you should respect them enough to walk away and go on with your life. The worst thing you can do to any of these haters is take away their power and their spotlight. Don’t let them control you, don’t let the media and the politicians control you. If each of us holds true to this one ideal, we win and the world will be a better place for it. The best way to counter hate isn’t to fight it, but to show it kindness and goodness. Hate is like fire, the more oxygen and fuel, you give it the bigger it gets. If you take away its fuel it will burn itself out and vanish. I hope I’m not the only one who feels like this. If you agree let me know. I want to hear how you are fighting against hate and violence. I want to learn about how you are respecting those that don’t deserve it to show them what being a human being is really like. Until next week, be kind to each other and stand up to hate. Fight cruelty with kindness and please respect your fellow brothers and sisters.